Joshua Pearce’s lab at Michigan Tech made this Web-enabled double syringe pump for less than $160. Let’s face it — running a laboratory can be expensive. Equipment can cost anywhere from $1 to hundreds of thousands of dollars. To keep expenses down, professors and undergraduate students alike have tried to replicate instruments for use in their research. What if there was a way to cut those costs and still have the precision instrument needed to carry out experiments? 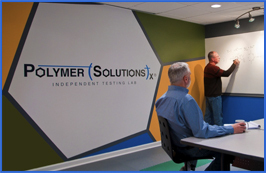 What if you could create some of your lab equipment in a few hours using a material like polylactic acid (PLA)? A research team at Michigan Technological University, led by Associate Professor Joshua Pearce of the Department of Materials Science and Engineering, is printing syringe pumps out of PLA using a 3D printer. These pumps typically cost from $250 to $2,500 from the manufacturer, and if you want a double pump, the price can go as high as $5,000. The 3D-printed version that Michigan Tech produced however cost a mere $50, the price of the PLA printing filament. These types of syringes must have absolute precision for use in experiments such as controlled drug delivery and combining chemicals. A Raspberry Pi computer was added to the design, creating a low-cost syringe pump that could be wirelessly controlled from outside the lab. The Raspberry Pi is a credit card-sized Pentium 2 computer with onboard connectors for USB, HDMI, audio/video, and a micro SD card slot among others. You can program the computer to do whatever you want. The ability to run more than one syringe pump at a time is invaluable. This simultaneous testing is not usually achieved due to the high cost of the syringe pump systems, so cutting the costs will permit scientists all over the world to move their experiments along at a more timely pace. Not only have we designed a single syringe pump, we’ve designed all future syringe pumps. Scientists can customize the design of a pump for exactly what they are doing, just by changing a couple of numbers in the software. The Open Source Lab not only carries the syringe pump layout, but also designs for 3D printing many other lab tools out of plastic. A test tube holder, a “dremmelfuge” chuck that substitutes for a microcentrifuge, and a lens holder are just a few examples of the implements included in the Open Source Lab. The video below shows some of the devices created. The international scientific open-source lab community is growing rapidly. From UC Berkeley’s Tekla Lab to Sensorica in Montréal and OpenLabTools at the University of Cambridge, we are all working together to make science cheaper, faster and better. I’m sure someone will improve our designs and share their results with us and the rest of the community. That’s the beauty and power of open source. Keeping research costs down while increasing productivity has long been a problem in the scientific community. If precision instruments and standard lab gear can be customized and created using a 3D printer, then it seems scientists may have found a solution to at least a few of their expense issues. Image by Emily Hunt, courtesy Michigan Technological University. Source: “3D-Printed Syringe Pumps Could Cut the Cost of Scientific Research,” by Nick Lavars, www.gizmag.com, September 17, 2014. Source: “3-D Printing Leads to Another Advance in Make-It-Yourself Lab Equipment,” www.medicalnewstoday.com, September 14, 2014. 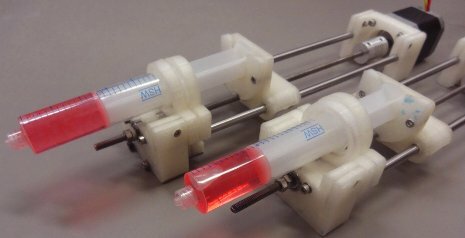 Source: “Researchers Could Now 3D Print Their Own Syringe Pumps Using a RepRap,” www.3ders.org, September 18, 2014. Source: “Open-Source Syringe Pump Library,” by Bas Winjen, et al., Plos One, September 17, 2014, DOI: 10.1371/journal.pone.0107216.